Transport Sydney is an independent transport infrastructure news blog designed to bridge the gap between the daily news bulletins that are easy to read but often lack depth and the expert reports that are long and difficult to digest for the ordinary individual. It began in August 2011, with new posts being published roughly once or twice a week. This is not part of the government or any other transport operator. Any questions about the transport system should be directed to the relevant operator or to Transport for NSW. Topics vary, depending on what’s been in the news, but generally focus on transport projects that have been proposed or are under construction: the North West Rail Link/Sydney Rapid Transit, CBD and South East Light Rail, WestConnex, Badgery’s Creek Airport, and Opal all feature quite frequently. Where possible, this blog tries to stick to providing a balanced reporting of the news, with opinions clearly labelled “Commentary”. The site is maintained by Bambul Shakibaei, a high school Social Science teacher and former accountant at KPMG. His views on transport and urban planning have been heavily shaped by transport consultant Jarrett Walker and Melbourne City Council urban planner Rob Adams. For day to day updates, news, and commentary you can follow Bambul on Twitter. Guest contributors are welcome! If interested, please see the contact section. It is a truism residential accommodation in Sydney is widely dispersed. If it wasn’t for the lack of parking in the CBD, even more people would drive to work given motorists’ currently apparently high tolerance for commuting pain and paying for expensive fuel. Transport blogs spend a lot of time trying to find solutions to the problem of squeezing the quart that is the people who live and want to live in Sydney into the pint pot that is the Sydney CBD. With the approach of the NBN, shouldn’t we be giving more thought to fostering more white collar employment along public transport corridors, thus helping the network develop into a facility that more closely reflects successful overseas systems which are far less centralised than Sydney’s is? That might help deal with the elephant in the room which is people living north of the harbour and rushing to get to destinations on the south side all at the same time. That would be a novel topic of discussion the planners don’t seem to be thinking about yet. and noted that the p.26 extract is from Sydney’s Light Rail Future not the Masterplan. A bit pendantic I know but just thought I’d let you know. I hope you don’t let your students ramble like you do in your blog about the rail network. 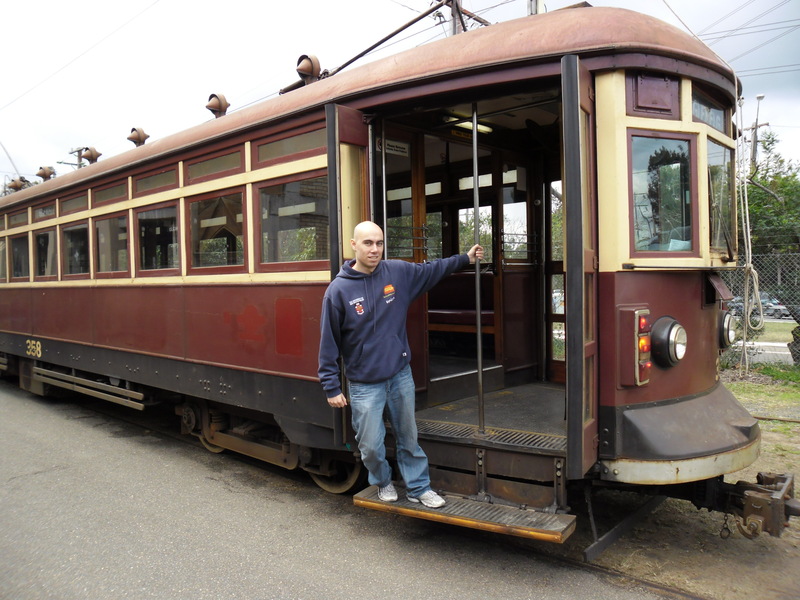 Hi Bambul, really enjoyed reading through your Sydney Transport blogg – I look forward to reading future updates. Being a Rural Hills resident, I’m interested in the Northwest Rail link project and any other improvements in public transport to Parramatta. Hi Bambul, I have a few questions regarding some Sydney transport mysteries that maybe you can explain. Should I ask through this method, or do you have an email address? You can reach me on bambul@gmail dot com. Not sure how helpful I can be, but I’ll do my best! Do have a copy of the map you refered to as follows: “Mr Meyer showed attendees a map of the hypothetical flight paths from Badgerys Creek”? I work for the State Library of NSW and we would be interested in archiving your blog. I can email some information that explains this. You can respond via the email attached to this comment. I have been following transport infrastructure issues in Australia for a while and I found your site to be most informative. I would be interested to know your thoughts on the proposed fast rail link between Canberra to Sydney, including stops in both CBDs and both airports. From the information I have seen such a project would not cost that much more than a second Sydney airport, and would at least delay the onset of such a new airport by claiming much of the Canberra-Sydney air traffic. Longer term if this link were successful it could then be extended to Melbourne and Brisbane. This would in term probably terminate the current Countrylink service, freeing up the line for the forecasted increase in the rail freight task. Given that Canberra is our nation’s capital, upgrading the airport to international standard and complimented with a fast rail link would seem to be logical and sensible. I do however concede that a second Sydney airport will occur somewhere in the future – it is only a matter of when. The main issue with High Speed Rail (HSR) is the capital (construction) cost. While operating costs can be recovered via train fares from passengers, the bulk of the capital costs (about 90% of it) cannot. Meanwhile, the capital costs of an airport can be recovered from operating revenues. As a result, the cost to the taxpayer of a new airport is effectively just the cost of the surface infrastructure (roads and railways), while the cost to the taxpayer of HSR would reach the tend of billions for just the Sydney to Canberra section. When you consider that the surface infrastructure would need to be built around the existing airport at Mascot, should a Badgerys Creek airport not be built, and that infrastructure is cheaper to build in greenfields areas like Western Sydney than infill around Mascot, then it actually represents a saving to the taxpayer. HSR to Canberra as an overflow airport also does little to nothing for the 25%+ of air trips with origins or destinations in Western Sydney, a figure that will only grow in coming decades. In reality, Sydney doesn’t need a second airport as much as Western Sydney needs a first airport. I think the main thing that needs to happen with HSR at the moment is to continue planning for it to happen. That means protecting any reservations from non-rail development and ensuring that any network enhancements do not preclude any future HSR connections. That way when HSR does become more feasible, which with the rise of sustainability as an issue I believe it will, then it can be built with minimal problems. But for now you’d get better bang for your buck by spending that money on urban transport infrastructure like a 2nd Harbour Rail Crossing in Sydney or the metro rail tunnel in Melbourne. Can HSR ever compete on frequency of services? We a community action group comprised of local residents in South Western Sydney. We’re extremely disappointed at Sydney Trains’ new timetable and network changes especially in regards to the Inner West Line. Train services have nearly halved between Lidcombe and Liverpool with more congestion at Lidcombe station due to the forced interchange for City bound commuters. Will there be another airport built in Sydney? What will happen to the existing airport? Where would I be able to get more information? Could you provide the cost benefit analysis(timeframe, comparison of externalities etc) on which you based your judgement “so for now it is better to build one with a view to building the other at some later date”. The CBD and South East Light Rail will increase capacity along Anzac Parade by about 6,000 passengers per hour during the busiest hour of peak hour, and will cost $1.6bn to build, which is set to take 7 years from initial feasibility study to opening. I don’t have an idea of operating costs. An extension of heavy rail was suggested by Infrastructure NSW involving a 6km extension from Bondi Junction. Based on NWRL costs of about $500m per km of underground track, that works out to be about $3bn. The line currently has 8,000 passengers per hour in the busiest hour of peak hour, and maximum capacity for a line in Sydney is about 24,000 passengers per hour, so that would increase capacity by about 16,000 passengers per hour. It would probably have a similar period of time for building it – the line is shorter at 6km, but very little planning has been done and it is entirely underground, so 7 years is probably a good guess. Again, I can’t give you anything in terms of operating costs. In terms of increase in capacity per million dollars in construction cost, heavy rail comes out ahead with 5.3 compared to 5.0 for light rail. However, it’s not a straight comparison. Heavy rail would not serve the Moore Park district, Randwick Racecourse, nor the Western end of UNSW (it may not even service the Eastern end of UNSW). Meanwhile, the light rail line would not be as good for servicing the Northern end of the CBD (which is why express buses are being retained to service this area). In addition, the light rail line is only expected to run 20 trams per hour on opening, to be scaled up to 30 trams per hour which is the maximum capacity. So until demand ramps up, light rail actually comes in cheaper on a per passenger basis, as you are not paying for unused capacity. What I think is more likely is that as the Anzac Parade and Randwick districts start seeing higher density developments in coming decades and light rail starts to reach capacity, you will see an extension of the heavy rail line from Bondi Junction start to be considered, particularly to service the Southern ends of Anzac Parade and connect them up to the Northern end of the CBD. But this is unlikely to happen for another few decades. Of course, a lot of this is me speculating. Ultimately it’s the bureaucrats in Transport for NSW and the Transport Minister who determine what will happen, not people like me. So again what are your qualifications that allow you to portray yourself as an expert on the CSELR? Are you or the transport consultant you name or the urban planner being paid or sponsored by TNSW? Hi Maria. Thanks for your questions. I’m not paid by Transport for NSW nor have I ever been. I have been blogging on transport infrastructure for almost 5 years in an independent manner. However, that is experience and you did ask about qualifications. So in terms of qualifications, my undergraduate degree was in Economics and I do try to approach transport infrastructure from an efficiency and capacity constraint perspective (i.e. how to move the most amount of people with the limited financial and spatial resources available). I also worked for 3 years at KPMG as an accountant in the Audit division, which gave me a strong grasp of figures, something that came in quite useful in particular for the blog post you have commented on earlier today. I do cover transport from a news perspective, and that requires me to use the figures put out by Transport for NSW. It would be difficult to report on transport infrastructure without referring to the figures and reports put out by the agency that operates it. Rob Adams is the head of urban planning for the City of Melbourne in Victoria. He has been for the last 6 years at least. I don’t know how much longer before that he was working for the City of Melbourne or where he worked before that. Jarrett Walker is a transport consultant. He did some work for the NSW Government a while back and contributed to the SMH’s Independent Transport Review. Both were around 2008 if memory serves me correctly (I might be off by a year or two). He hasn’t done any work for Transport for NSW since then that I know of, though he did do some work for Auckland as well as some European and North American cities. He is now based in Portland, Oregon in the United States. Can you ask TNSW where their detailed tree plan was when the CSELR Enironmental Impact Statement (EIS ) was approved in 2013 and why they didnt fulfil the statutory requiremnts? I’m sure you’re more than capable of making that request to them.